What is the L2L project? 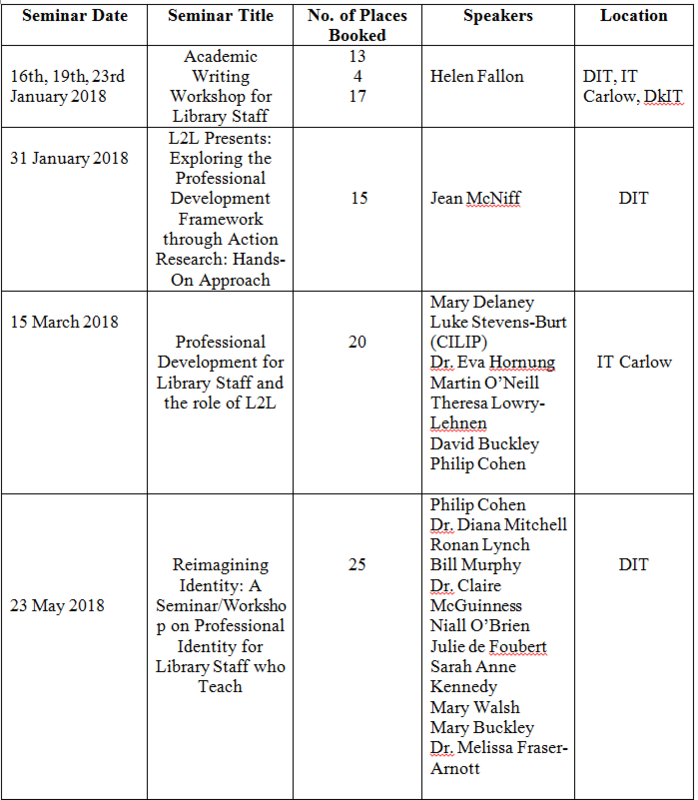 L2L is a two year project being funded by the National Forum through its Teaching and Learning Enhancement Fund (https://www.teachingandlearning.ie/) looking at the Professional Development Framework for all Staff who Teach in Higher Education through the lens of Library staff to see if it meets our professional development needs. 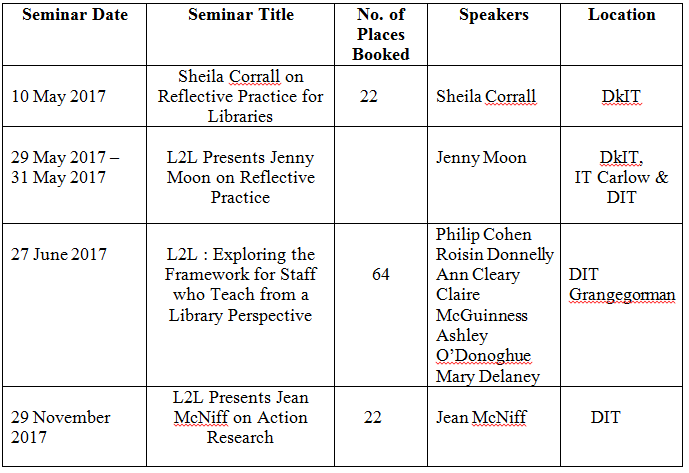 L2L is a collaboration of three Libraries: Dundalk Institute of Technology, Institute of Technology, Carlow and Dublin Institute of Technology. 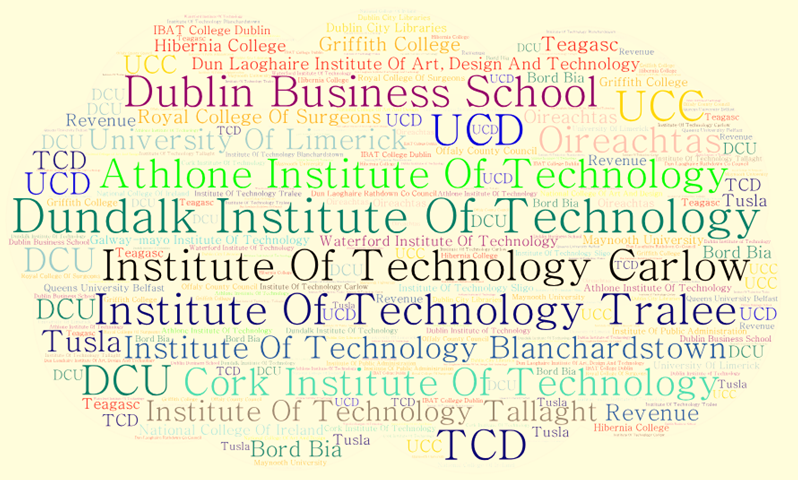 These Libraries formed L2L and succeeded in gaining support from the National Forum for the Enhancement of Teaching (https://www.teachingandlearning.ie/). Library staff in the Technological Higher Education Sector are academics and teach both formally and informally. 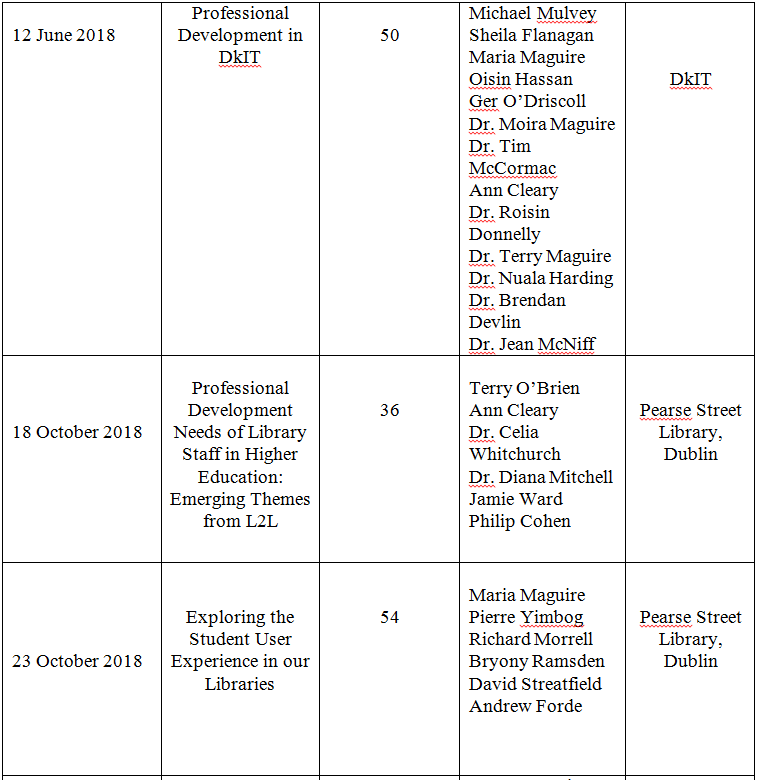 The multi-layered nature of library work and our unique role as ‘third space’ professionals means we are dealing with complex, complicated and evolving professional development needs. Given our role as both librarians and academics, we were seeking a professional development process which gave us a framework and map for development and prompted deeper exploration of our roles, identity and experience. What does PD mean to us and how can we embed and sustain good PD practices? How are our roles as library professionals evolving? What do we need to do to meet these new challenges? How do we identify and how is our identity constructed? Is our experience valuable as research? How does the student experience influence our professional development approaches? And, most importantly, what can we do to ensure that our users get the most value out of our services? 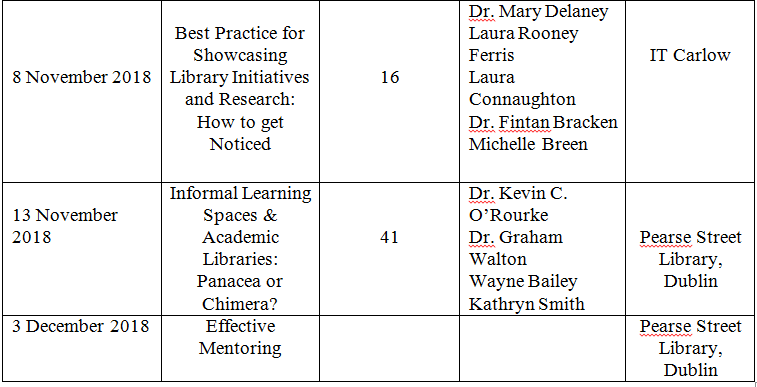 By the end of the project we hope to have a formal accreditation to recognize the work of librarians who teach and provide the validation and recognition of the invaluable role library staff play as educators. Using the Professional Development Framework for all Staff who Teach (PDF), Library Staff individually and in Triads have explored their experience using Action Research approaches and reflected on their professional development.